With our annual Pure Fiction Issue upcoming, I thought it would be an opportune time to go back through the Reader's Pure Fiction archives and revisit some personal favorites. Enterprising publishers take note: these have yet to be compiled into a book. As for future Reader fiction? 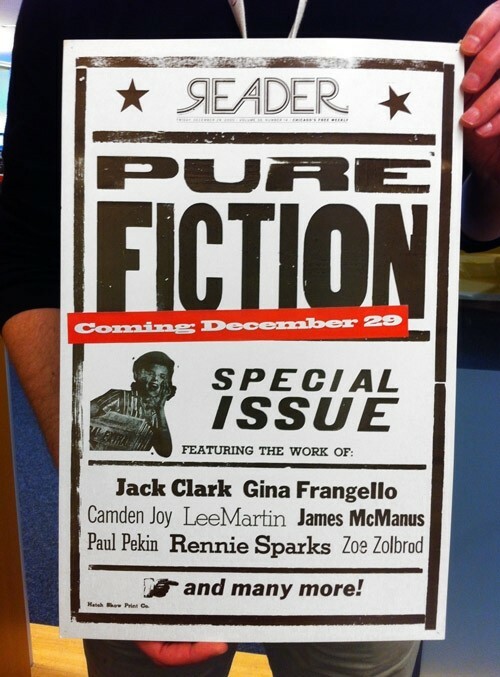 Pick up our next Pure Fiction Issue on January 3. This is my last post for 2012. Thanks for reading, everybody.